Training future leaders is a key aspect of the New York Junior League’s mission; we foster a supportive and motivating environment that enables continuous learning, encourages mentoring and develops future leaders. If you are looking for a way to give back to the NYC community while also learning how to be a better leader, the NYJL is the place for you! The Training & Volunteer Development Councils host training sessions for our volunteers to learn about leadership roles within the League. At a recent event, Volunteer Development Council Head Shannon Whitt and Executive Vice President Charlene Chuang welcomed the volunteers before kicking off a panel moderated by Allison Davis O’Keefe, Affiliations Council Head. This training focused on how the NYJL fosters and develops women into future leaders within the communities they serve and in business roles. 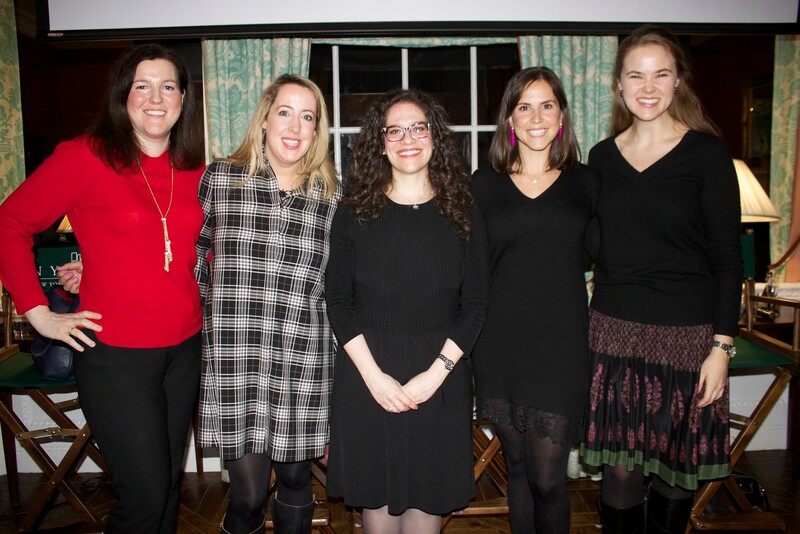 The five-person panel was comprised of Mallory Morgan (Golden Tree Co-Chair), Katie Cook (Child Health & Welfare Council Head), Cristina Hagglund (Strategic Oversight & Impact Co-Chair), Ashley Astolfi (Placement Co-Chair) and Carrie Organisciak (Building Blocks Co-Chair). The panelists discussed the building blocks of effective leadership from communication skills to team building to understanding problem-solving tactics to manage both their committee member’s expectations and their stakeholders. NYJL leaders work with both internal and external partners and are able to put their leadership skills to work every day. Interested in learning more about volunteering with the New York Junior League? Join us for an upcoming new volunteer orientation!